Pricing is defined by the number of floorplans, + the level of detail and customization applied to each floorplan. The basic options are devided into 4 levels, level 1 being the most basic and level 4 having the most features. Simple extrusion and colour options. 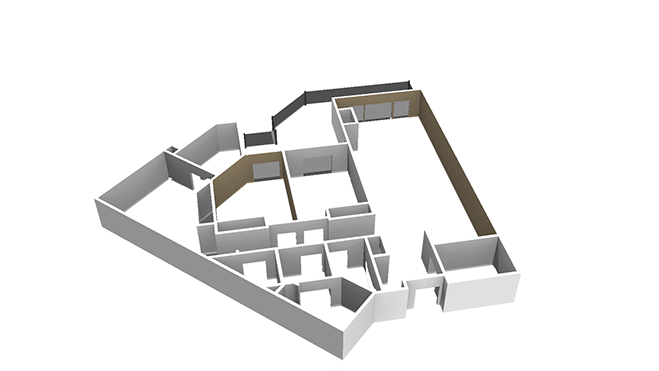 Level 1 Augmentation contains walls and windows, coloured using your choice of a grey + one of nine other accent colours. Flooring options. 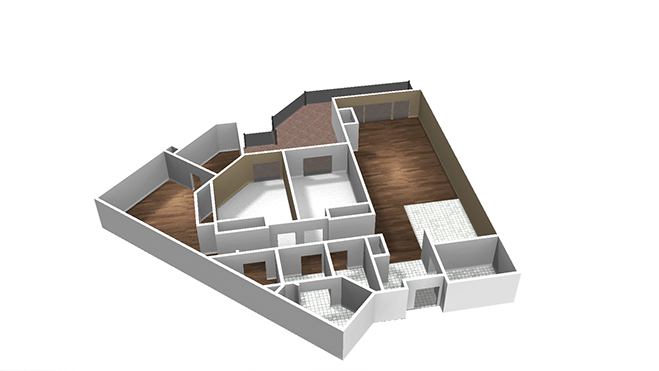 Level 2 augmentation contains walls and floors, shaded in predetermined choice of 9 colours and with several Combination flooring options. FURNITURE OPTIONS. 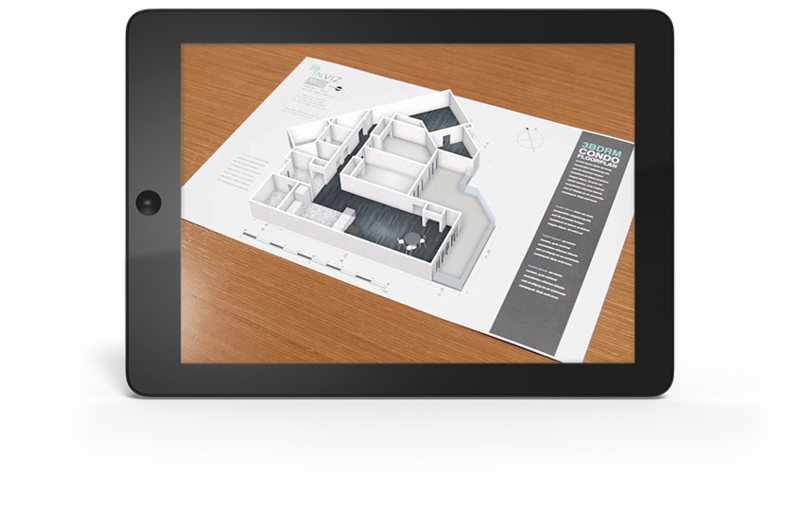 Level 3 Augmentation contains wall and floors, shaded in predetermined choice of colours, with our 7 predefined furniture elements and kitchen forms. Animate and inform. 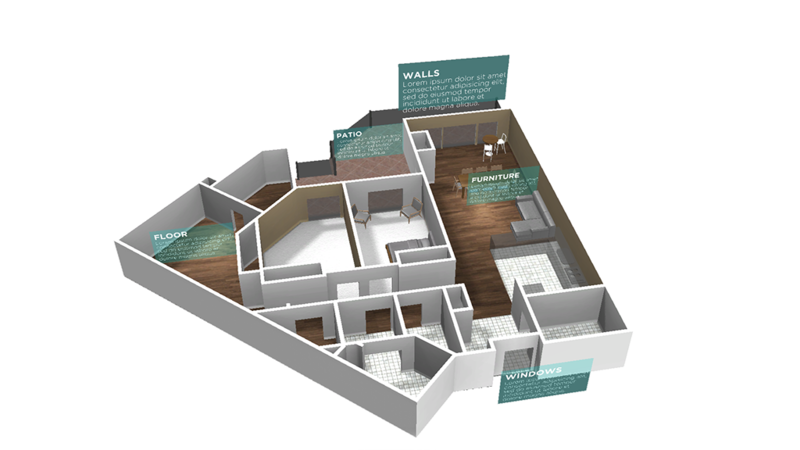 Level 4 Augmentation contains wall and floors, shaded in predetermined choice of colours, with our predefined furniture elements, kitchen, washer and dryer, stove, fridge, bathroom sinks (cubic representations). You can also animate callouts, or other static elements. Use any element as a tap-able trigger to initiate actions (like live links or other content). These are all the very basic augmentations we offer, if your looking for something a little extra, complete customization, white labelling or more – call us to discuss your needs and get a quote.